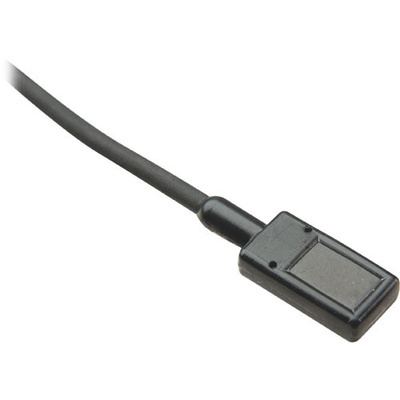 Product #16371 | SKU MEMWP4F05B | 0.0 (no ratings yet) Thanks for your rating! Clear audio reproduction with low rubbing and handling noise is a result of the EMW's omnidirectional polar pattern. The shelved frequency response features a smooth +6dB boost between 2kHz and 15kHz. This is the standard response for lavaliers worn outside clothing (lapels, jackets, etc). A wide variety of colours and connections are available, this version is black and features a 3-pin XLR connection. The EMW is available in three frequency response types and this version features a shelved frequency response that compensates for reflections lost when mounted outside clothing and fabric. The shelved response is standard for lavalier microphones worn on lapels, jackets, etc. The square EMW lavalier is available in various colours that virtually render the entire microphone invisible against the skin. For more information on which colour ear-set suits you best, refer to theCountryman support page.